A lot can happen in three years. That’s how long The Sims 4 has been out on Windows. Porting PC games is usually a tricky art, as interfaces meant for mouse usage rarely translates into ease-of-use with the more restrictive analog stick. Then there’s also the issue of “dumbing down” a console port, to make compromises owing to a console’s limitations. But this is The Sims, a series that has been out for almost two decades now! Surely a franchise as revered as this can up the ante and deliver the full-fledged port that fans deserve, right? Time to find out. 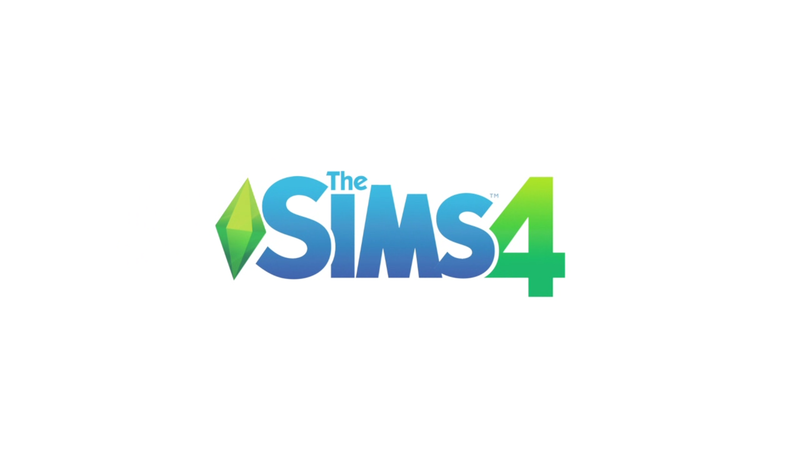 When The Sims 4 originally launched on PC, it did so with an improved set of core features, yet due to the development time of what was essentially a rebuild, the game released without features from earlier games, such as pools, basements, and the toddler stage of life. Three years later, the console launch appears to be faring a little better; many of the patches to enable missing functionality is available on console without any delay. Controls for a PC game ported to console is never a smooth proposition. This can also be said for The Sims 4. The interface hasn’t really changed much from the PC release. In fact, the game offers cursor-based control, where the player uses the left analog stick to move the cursor, and X to select something on-screen. However, once something is selected, the cursor disappears, and various buttons can be highlighted by using the directional pad or analog stick. This usually works well enough, but occasionally the button intended to be highlighted is across the screen in another corner. In these cases, it is quicker to press the touchpad button to bring up the mouse, and use the analog stick to manually select the button in question. The touchpad on the DualShock 4 is unfortunately underutilized here. This is a shame, really, because it could have allowed for much intuitive camera manipulation. One of the major technical goals of The Sims 4 was to be able to run on lower-end computers. The result was a more optimized codebase. As a result, the PlayStation 4 hardly breaks a sweat no matter what is going on in the game. At any given point, Sims can be freely switched and controlled, while the rest of the neighborhood runs autonomously. Transitioning to the new combined Build mode takes just a few seconds, and the same goes for getting back into Live mode. Despite being a full-featured port of the PC version, one glaring omission is the lack of the gallery. This is an area where user-created content can be exchanged, allowing for the download of user-generated Sims, households, rooms, houses, lots, and more. With the tightened user content restrictions on many console games this generation, the exclusion of this mode isn’t all that surprising, but it is still going to be noticed by fans. There is little hope for this mode to ever see the light of day on consoles, as well. The usual presentation of The Sims is present here. Graphics are semi-realistic with an artistic flair including bright colors and exaggerated animations. All Sims speak a language dubbed “Simlish,” which is mostly structured gibberish that almost sounds like words. Sound effects indicate whenever a Sim’s mood changes or a major life event such as a promotion, birth, or death takes place, while the music in the new Build mode is relaxing as always. These noises and sound effects can also be turned off if desired. Anyone walking by is sure to know almost instantly that The Sims is being played, since the camera is positioned isometrically above the action, while walls of buildings cut away by default to show what’s happening. The new Build mode includes the traditional Build mode of earlier games, where buildings can be constructed using practically any design, and for the console version includes pools and basements from the start. Here, the grid-based placement of objects comes in handy to create rooms of any size quickly and with surprising ease. Now, the Buy mode is lumped in as a tab of the Build mode. This doesn’t seem to add to the load time of switching modes, and its inclusion fits well with the player’s intention of building something new for the current lot, whether manufactured or created from various parts. Creating a Sim is, like other features included in this console release, just as full-featured as the PC version. For those who can’t be bothered to spend much time customizing their Sims can whiz on through this mode, selecting from a plethora of presets and going on their merry way to the actual game. But for those who love tweaking absolutely every single last aspect of a Sim, well then, it could be hours from the time the game was booted to the first time a created Sim actually starts walking around. Rather than messing with knobs, customizing a Sim’s body can now be done by simply grabbing a part, and pulling in several directions to sculpt the exact look and body type desired. Skin tone, voice pitch and intonation, personality, aspirations, outfits, and more, can all be mixed and matched. This is, again, all before even really playing the game! For those who may have somehow never played a single Sims game since the original’s release 17 years ago, the basic premise is that this is a life simulator. Each Sim is a unique creation, with various personality traits and quirks and different life goals and attitudes. 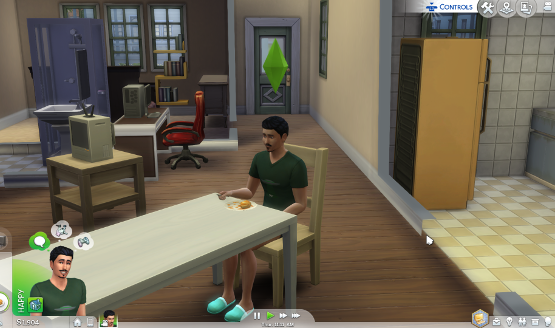 This time around, there is a much heavier emphasis on the emotional status of Sims. Many times, the emotional state of a Sim is dictated on what are called their Core Needs: Social, Energy, Hunger, Bathroom, Fun, and Hygiene are each represented by a bar. The less filled up the bar, the more urgent the desire for a Sim to satiate that need. For example, if a Sim is hungry, the Hunger need bar will turn red, and the Sim will likely enter an emotional state of Hungry. Their mannerisms will change, even if they are in the middle of performing an action. A Sim playing chess while having to use the restroom will squirm about in their chair; a tired Sim will start to nod off while watching television. It’s funny and entertaining to watch just how much these Sims can mirror life (falling asleep at the computer is oh-so-relatable). A core focus of most Sims will be climbing a career path. There are a handful of careers to choose from, varying from teacher to astronaut, doctor to entrepreneur. These career paths also intersect with Aspirations. Aspirations are goals for Sims to accomplish once they reach the teenage stage in life, and they include a wide range of options, such as becoming a Computer Whiz, Master Vampire, Master Chef, Fabulously Wealthy…the list goes on. Randomly throughout a Sim’s day or night, up to three “whims” can enter their minds, represented by thought bubbles. Clearing whims is done by performing certain actions, such as playing a video game, saying a bold pickup line, or defeating vampires in combat. Completing these whims rewards in satisfaction points, which can be spent to purchase items and traits to help the Sim enjoy life a bit more. Sims also have what’s known as autonomy. Meaning, when left alone, a Sim will not just stand around waiting for a command from the player (unless this feature is deliberately turned off). This works well enough most of the time, and a Sim will generally take decent care of themselves. But some odd behaviors do show up from time to time, such as constantly reading a random book if told to perform an action such as use a computer near a bookshelf, or adult Sims not reacting to fire in any manner other than complete freak-out while a small flame quickly turns into a room-ruining inferno. Some of these behavioral quirks have been with the Sims series since its inception, though, and it wouldn’t feel like The Sims without them. As the last couple of paragraphs have hopefully made clear, there are a lot of different ways to progress in The Sims 4. The options are almost limitless, and it might even feel a bit overwhelming, especially as the initial tutorial can be a bit overbearing. But awkward controls aside, this is one game that almost anyone can pick up and play. The Sims 4 is a game that rewards players the more time they spend with it. The heavier emphasis on the emotional state of each Sim adds a lot of variety to even regular household chores. While the controls predictably leave a lot to be desired, they get the job done as best as could be expected in a game with so many options at the player’s disposal. Fans of the series who either don’t already have the latest entry on their computers, or who prefer the console experience, can likely grapple with the controls and have fun. Thankfully, most of the features of the PC version are intact, and this is a full-featured port you can happily play for hours from the comfort of your couch. The Sims 4 review copy provided by publisher. Version 1.01 reviewed on a PS4 Pro. For more information on review scores, please read our Review Policy.